Can anyone help? 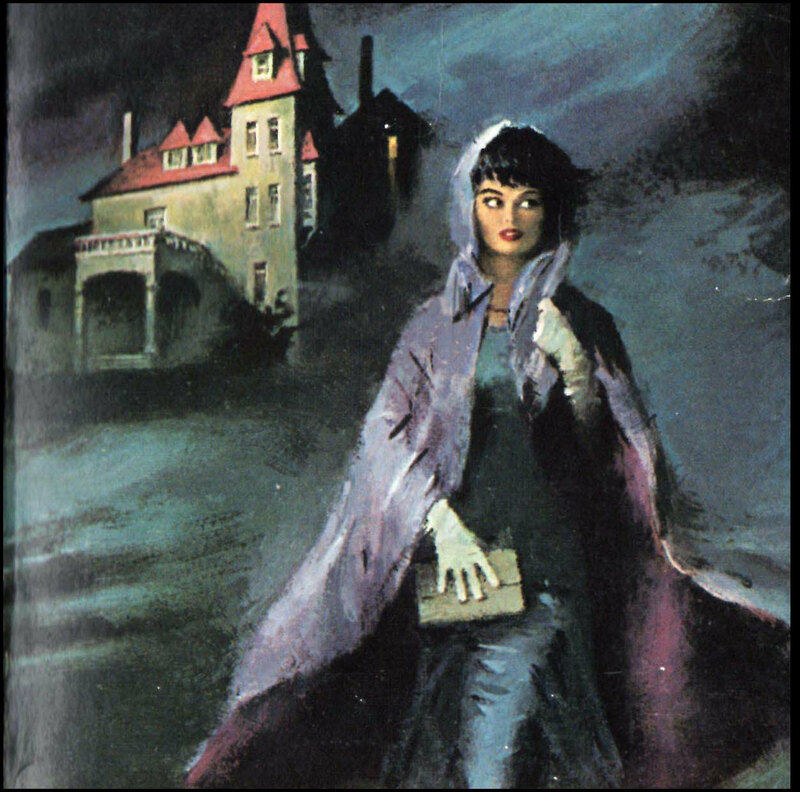 Robert has emailed me with a scan of this original painting he’s acquired recently and he is trying to find the book it was used for. There is no signature but there is a number on the back (1524). 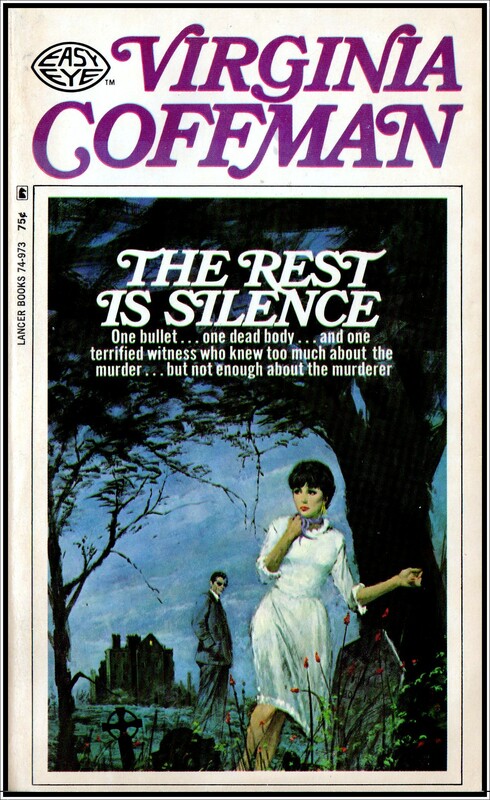 The seller guessed it might belong to a Lancer publication, perhaps an international edition of one of Deanna Dwyer’s (Dean Koontz) gothics. 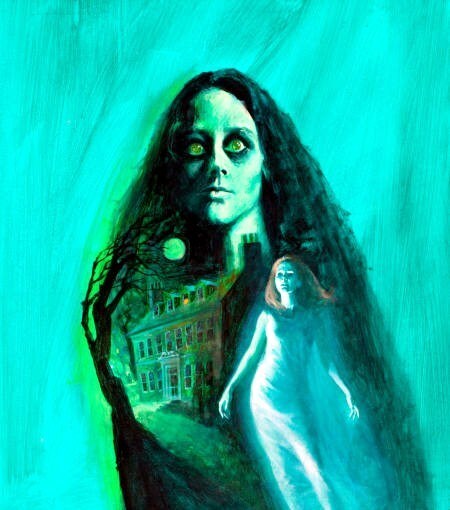 It’s not one that I recognise but it’s an amazing piece of art and would make a fantastically eerie cover. Any ideas? Please get in touch. And thanks for sharing this gorgeous artwork Robert! 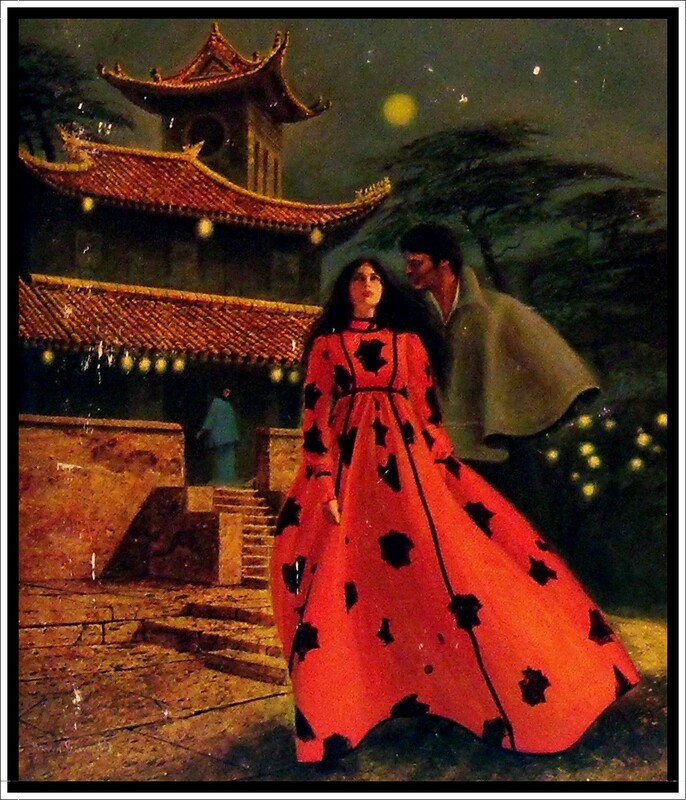 THE HOUSE OF A THOUSAND LANTERNS… the spellbinding new novel by Victoria Holt. 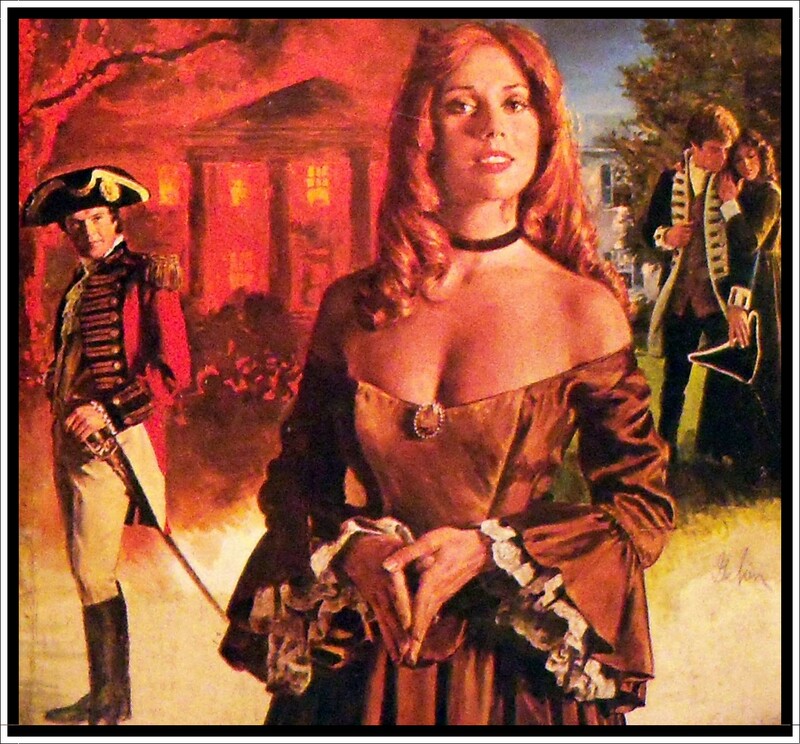 Copyright Victoria Holt 1974. 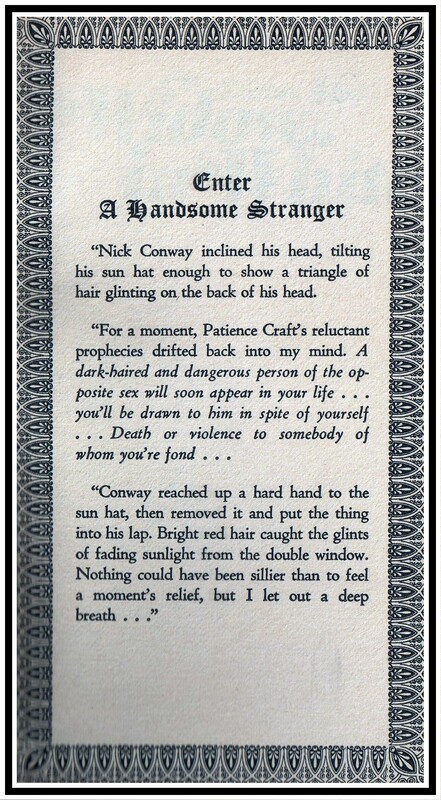 First Fawcett Crest printing July 1975. 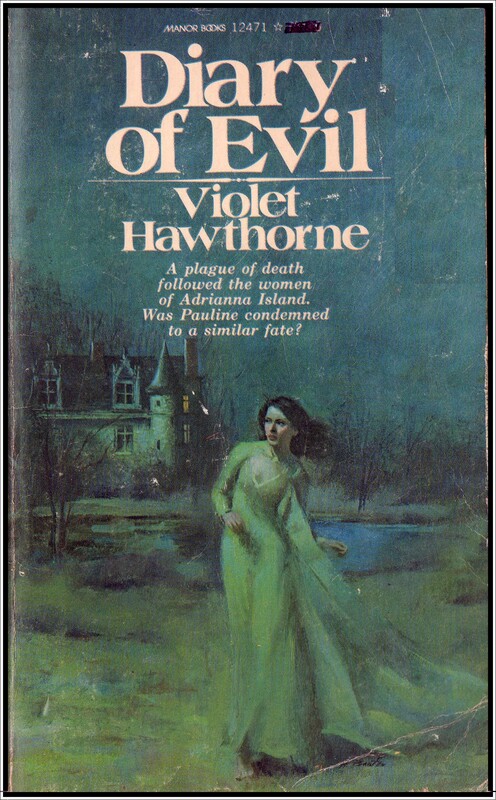 Cover art Harry Bennett. 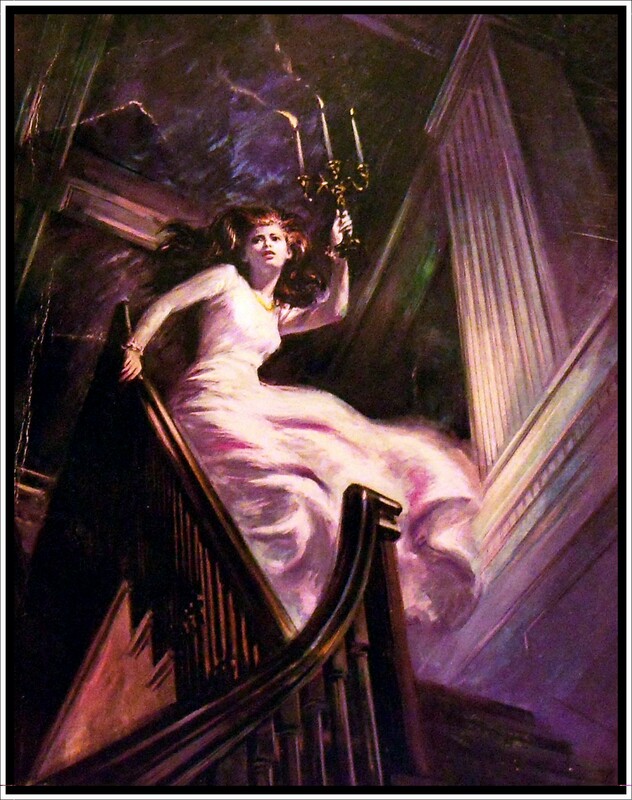 I’ve had an email from Jess, who is trying to re-find a favourite gothic romance. 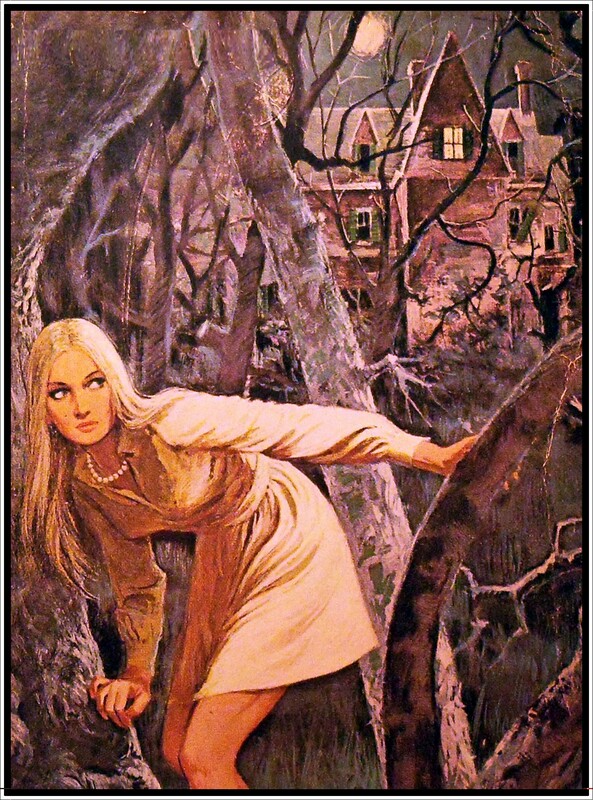 She has a vague recollection of the plot but the title eludes her. 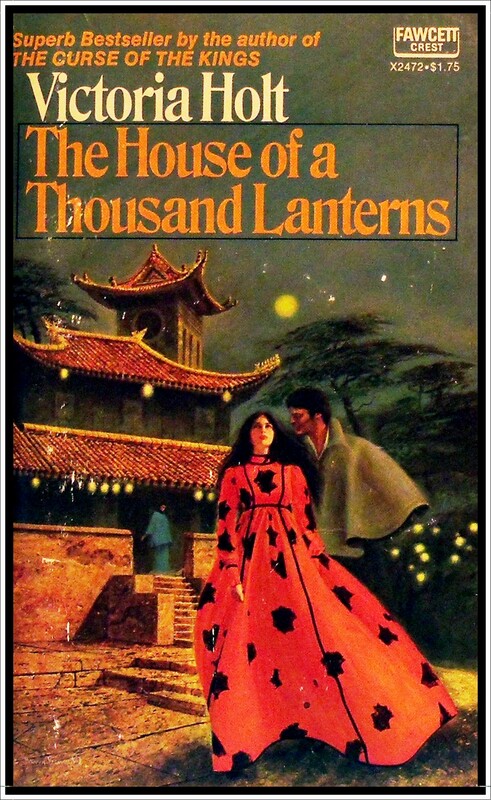 From her description below, I thought it shared similarities with Victoria Holt’s House of a Thousand Lanterns but I don’t think this is the one. 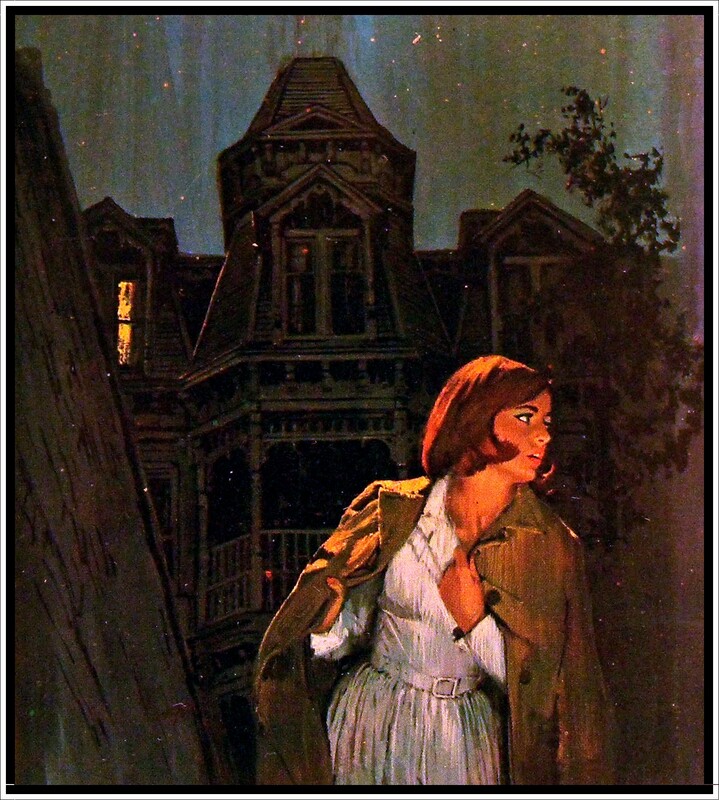 It involved a young girl coming to stay at OR getting involved with a wealthy household in San Francisco. I think I remember specifically either bothers or close cousins and while she originally was attracted to one, she ends up with the other. There is a costume party at one point where she goes as Qwan-Yin, the Chinese goddess, even wearing a wig of blue yarn. I also remember there being some sort of disaster, but cannot recall if it was the great fire or an earthquake. 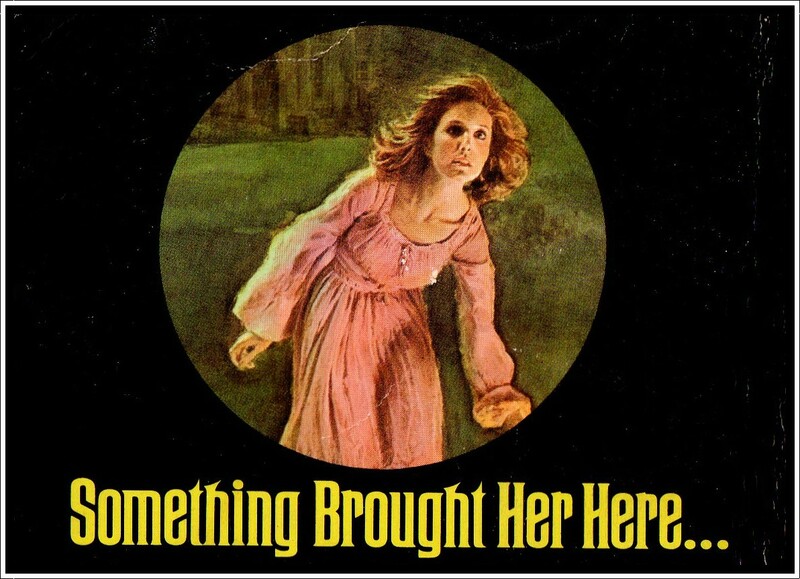 There was definitely an element of horror/mystery though. 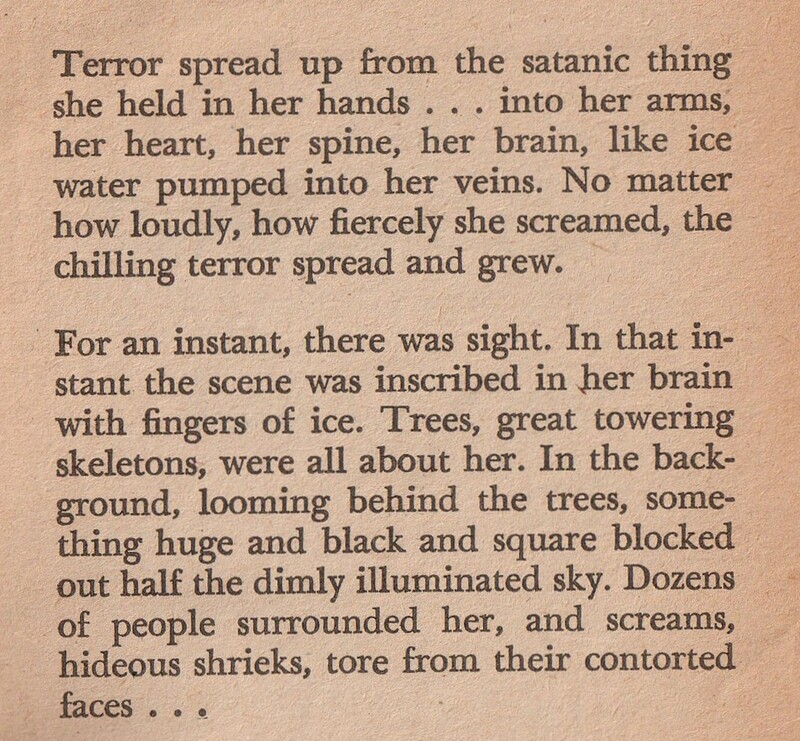 Did think I had found it in “The Trembling Hills” by Whitney and ordered an old used copy, but while it had been a book I’d read previously, it was not the one I was looking for. 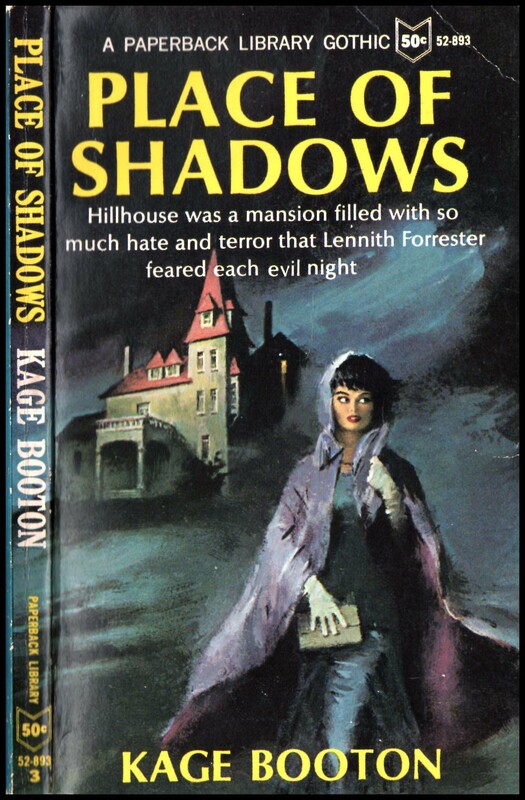 SOMEONE TRAPPED LENNITH FORRESTER IN THE AIRLESS WALL SAFE AT HILLHOUSE, AND IN ONE INSTANT, SHE LEARNED THE MEANING OF TOTAL FEAR! “You are going to die here,” I heard myself say. I listened to my own sobs. So black; all around it was so black. I sank down to the floor. The Safe was sound proof. Air proof. 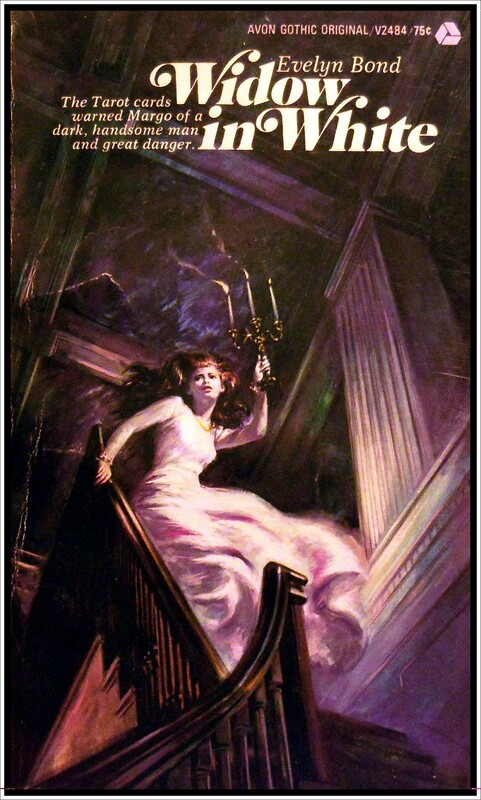 Down on the floor I started screaming again, kicking my heels furiously against the metal of the sliding door. Somebody must hear that! I can’t get out. Nobody will ever let me out. “You’re afraid,” I cried out to myself. 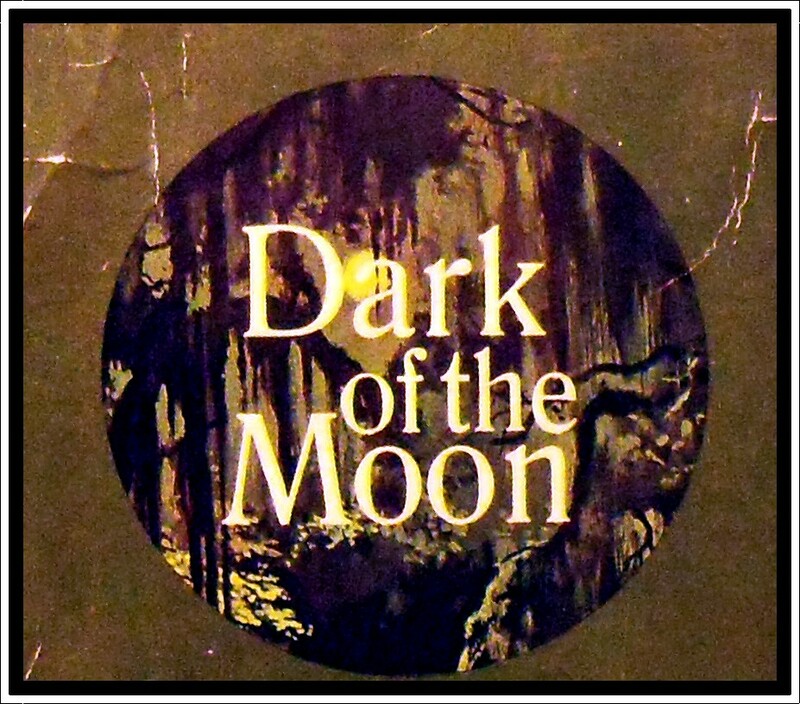 Copyright 1959 by C. Kage Booton. 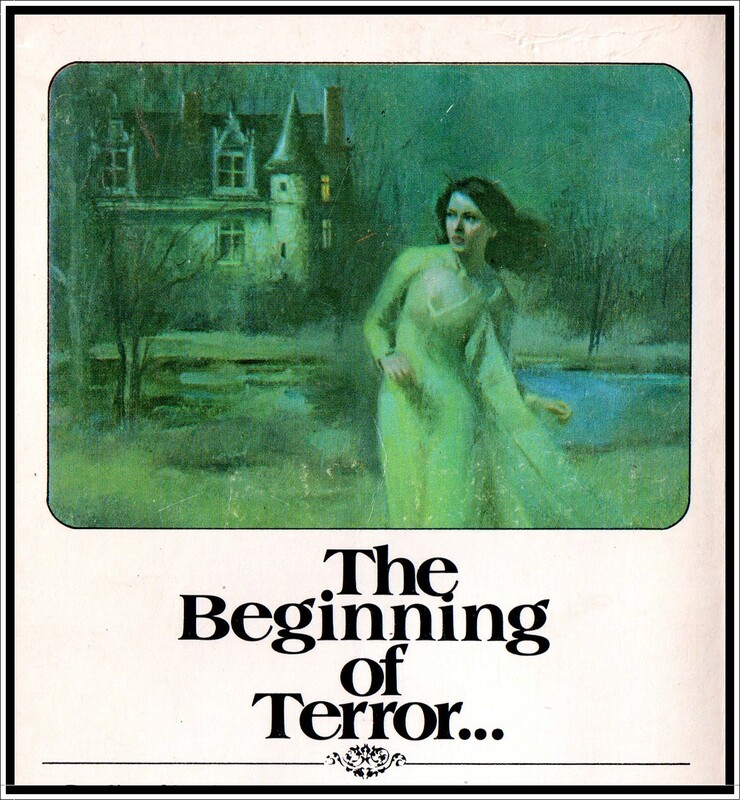 First Paperback Library printing December 1965. 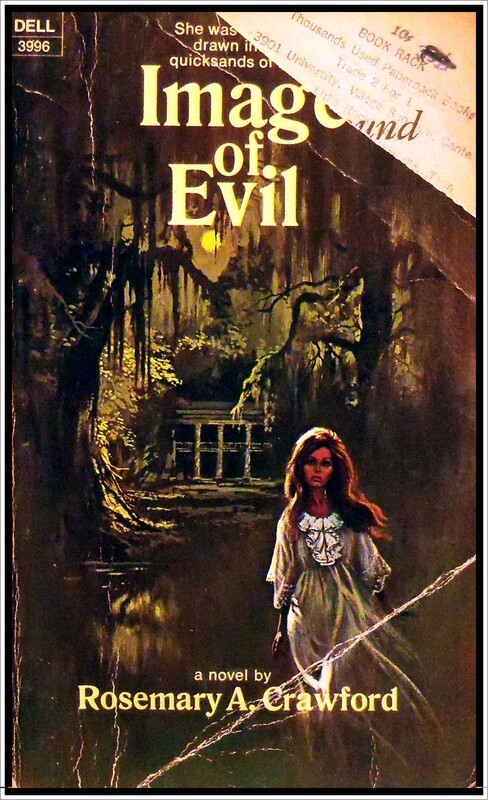 I wanted to post this to show off the gorgeous cover by George Ziel. 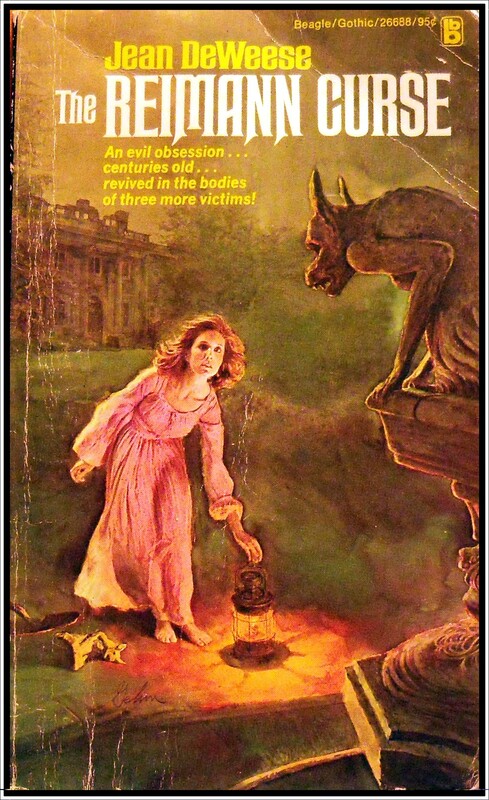 This time I know who the artist is because Lynn Munroe has recently forwarded me a link to a booklist he has compiled on cover art by George Ziel, a concentration camp survivor born Jerzy Zielezinski in Poland 1914, who died in Connecticut USA in 1982. 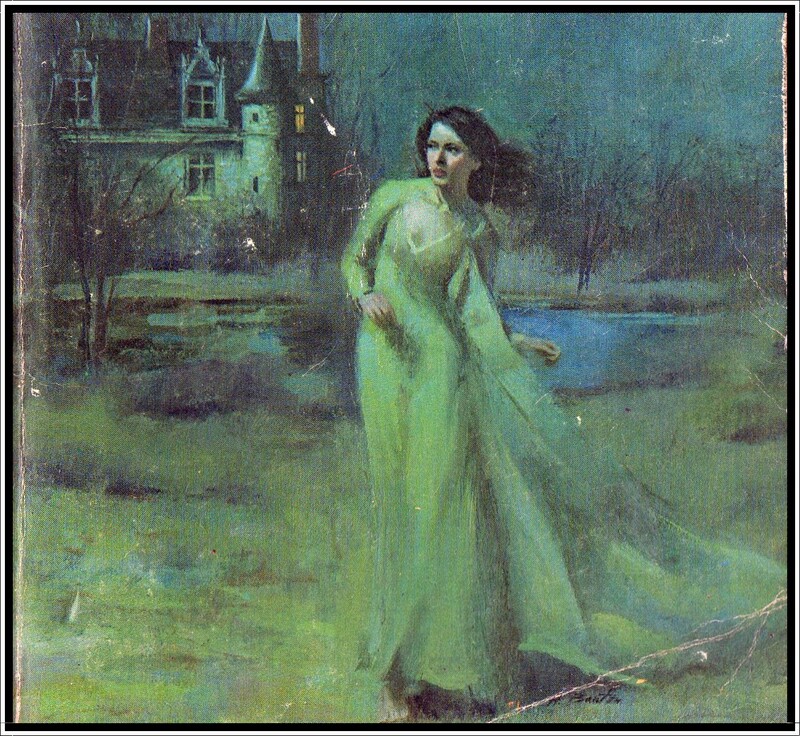 Fans of the Paperback Library Gothics, as well as the Dell Mary Roberts Rhinehart covers, will instantly recognise George Ziel’s hauntingly beautiful artwork. 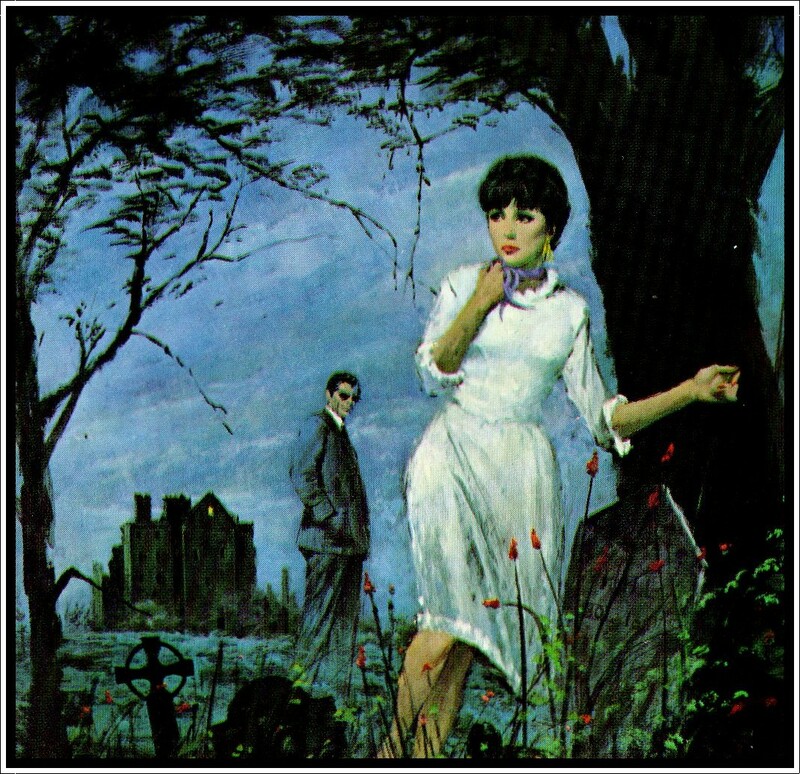 Very few of George Ziel’s covers were credited on the published books but Lynn has done some exhaustive research, creating a checklist with an amazing collection of covers by this artist. The face of the Louisiana plantation of Southern Moon gleamed invitingly in the summer sun when Susan arrived for her visit. The ravishing, aristocratic plantation mistress, Corinna Hamilton, her elegant suitor, Cedric Raimond, her handsome, dashing son, Paul, her breathtaking daughter, Lacy – all welcomed Susan as one of their own. 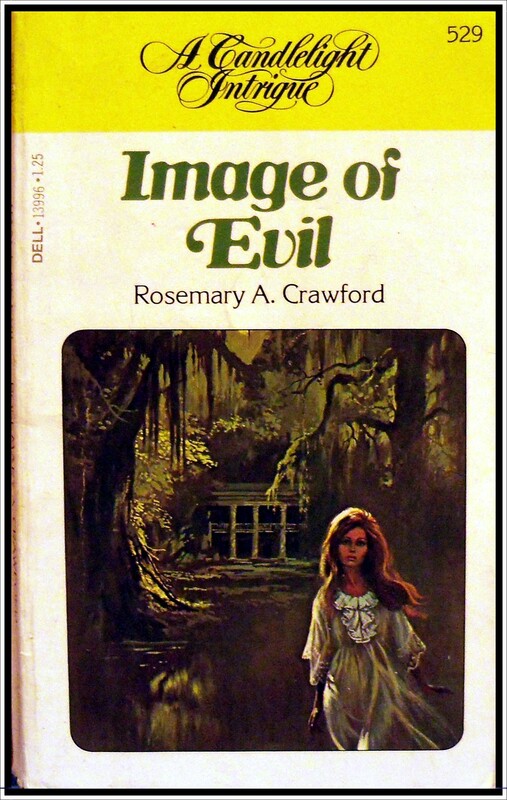 Image of Evil by Rosemary A. Crawford. 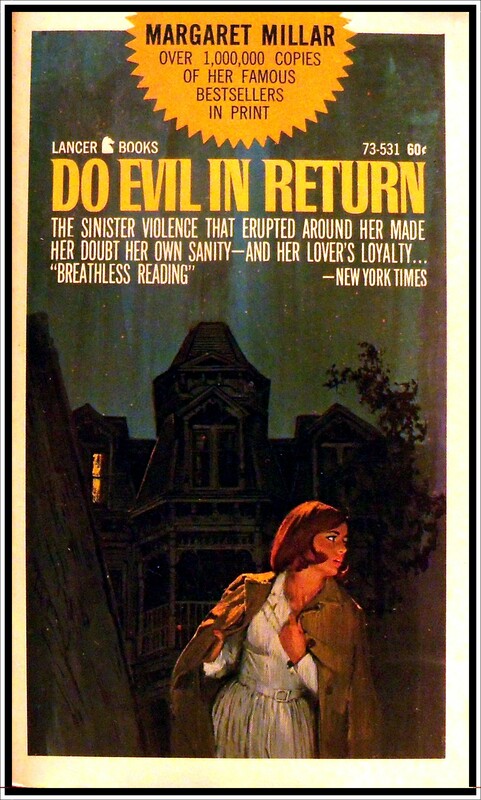 First Dell printing November 1971 & Candlelight Intrigue Dell printing October 1979. The weather is hot, hot, hot – and it’s raining (again!) 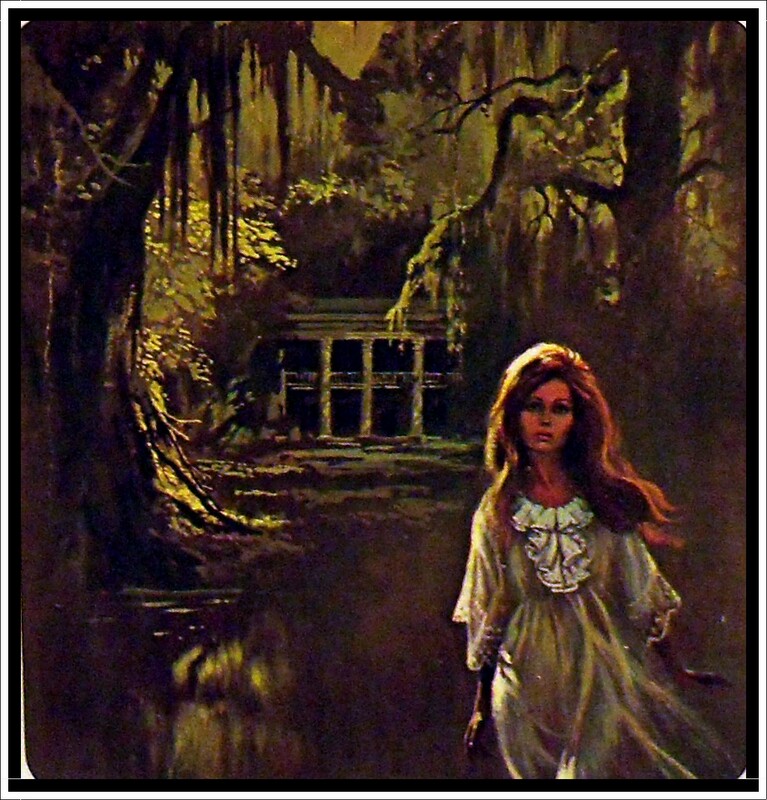 – so what better time to immerse myself in a sweat-drippin’ gothic set in the swampy morass of Louisiana. Susan is twenty three and works as a junior designer in New York. One day she receives a letter from a strange woman, Corinna Hamilton, claiming to be her mother’s long lost sister. Corinna is inviting Susan to come visit the Hamilton plantation so she can become reacquainted with her southern cousins. Susan is suspicious – as far as she is aware her mother was an only child with no surviving family. If Corinna Hamilton really is her Aunt, then why did her mother lie to her? And for so long? This really is a secret too tempting to resist, so Susan takes an early holiday to travel down to Louisiana to find out the truth for herself. And as if that wasn’t enough to ruin her holiday, Susan also has Billy Ben to contend with. He’s the tobacco chewing deputy sheriff who drawls a lot and has an awkward habit of popping up out of nowhere, languidly leaning on door frames while leering suspiciously at our heroine.He seems to know more than he is letting on, but what? Meanwhile Paul conveniently crashes his car and ends up in a coma, leaving Susan free from his unwanted advances and giving her the perfect opportunity to make her excuses and leave. Against her better instincts, Susan decides to stay but, as she uncovers more of the secrets behind her mother’s estrangement from the Hamilton clan, she (eventually) realises her own life is in danger. Escape seems impossible – the horses have all been sold off and her car impounded. 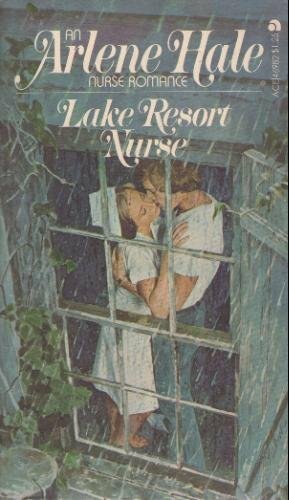 Trapped in an isolated mansion, surrounded by lecherous law enforcement officers and treacherous swampland, only the handsome Dr Clay Foster can save her now…. I found Image of Evil a bit like the weather – muggy and dull and heavy going at times, the story bogged down in lengthy genealogical revelations, with not enough actually happening in the here and now. Worse still, the ‘terrible evil’ at the root of this family rift turned out to be nothing more that a stolen stamp collection. Dear God, stamps! With not even a whiff of a ghost to spice up the equation. On the plus side, I did like the location and all the lush descriptions of swampland and thunderstorms. The car crash towards the end was suitably dramatic and perked me up a little but overall I found this one difficult to finish. Two out of five stars. I have two copies of this book. 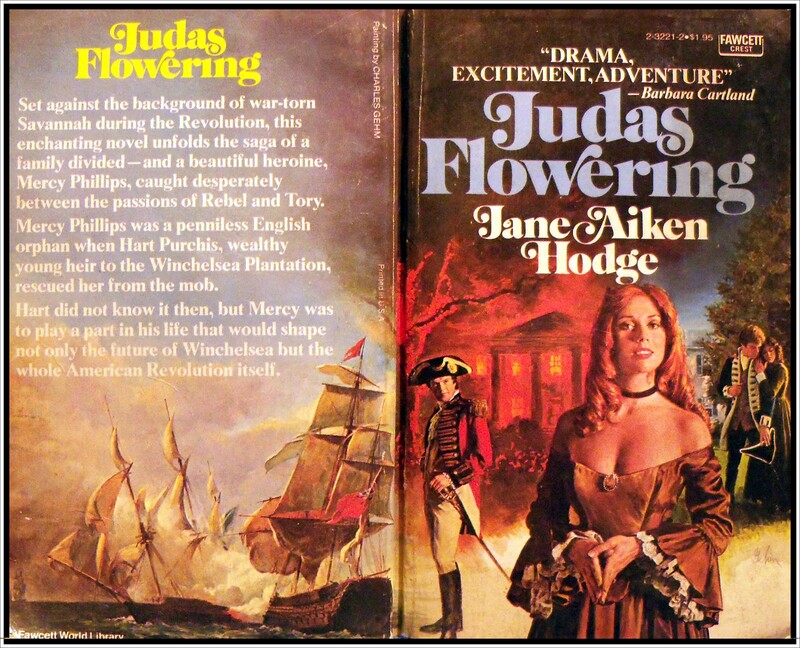 The cover on the earlier edition below works better, I think – the artwork more detailed and vivid (though you’d never guess from the condition of my copy). 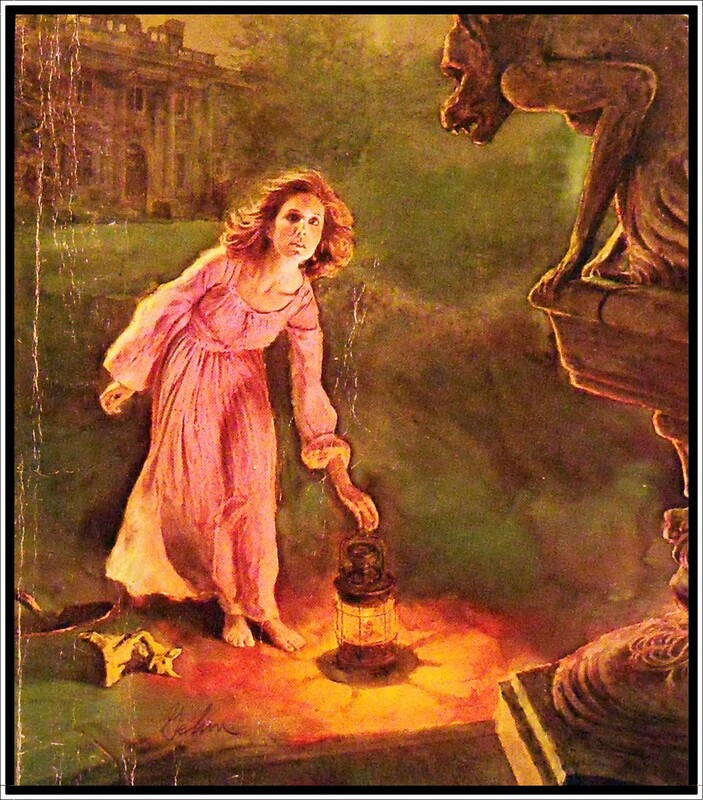 The cover above is a later Dell reprint under their Candlelight Intrigue series – I must admit, the juxtaposition of the tradtional Mills & Boony type design with the creepy gothic artwork is well… intriguing. I’d like to see more of these!